Starting out as a kayaker, I've been open boating almost two years now. Loving every minute of it. Favorite Rivers: Tallulah and Watauga so far, always looking for more. 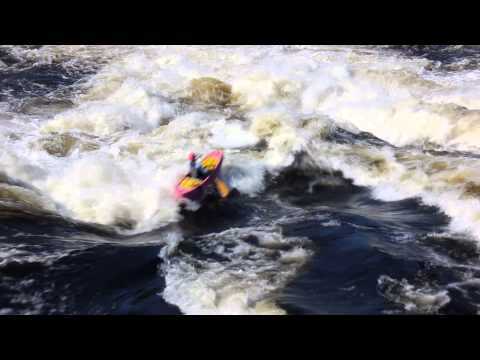 Saturday 18, 2014 – Twenty-one rapids, eight whitewater canoes, three miles, and one very big monkey. Team Blackfly hits the Green Narrows in North Carolina. Green Narrows Canoeing from ALEKS on Vimeo. 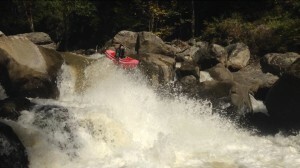 I come from the Southeast where rocks are not only expected but essential to hitting good lines in whitewater. So when I drove north to Quebec with the Boof Sisters summer tour, I was more than apprehensive about the big water waiting for us at Gatineau Fest.